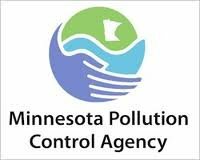 The Minnesota Pollution Control Agency (MPCA) needs your help! The MPCA, with assistance from Skumatz Economic Research Associates, is conducting a project to better understand the costs associated with solid waste, recycling, and organics programs and the potential for net cost reduction for Minnesota K-12 schools. The results of the study will be used to help schools design cost effective recycling and organics diversion programs. Your input is invaluable. The survey should take about 15 minutes to complete. If you have questions about the project or would like to complete the questionnaire over the phone please call Lisa Skumatz at (866)758-6289. After completion of the survey, you will be entered into a drawing for ONE OF THREE KINDLES! * 2. Does your county/ region charge additional Solid Waste Taxes? * 3. Who are you representing? (A single school or the whole district)?